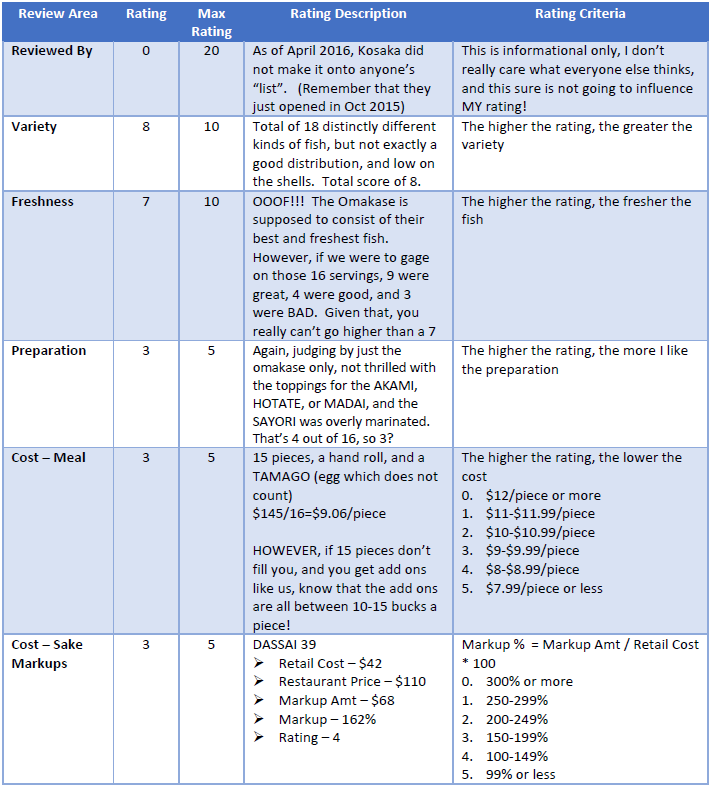 Do you ever wonder how restaurants come up with their pricing? Clearly, I’m no restaurateur, but I really don’t get it. 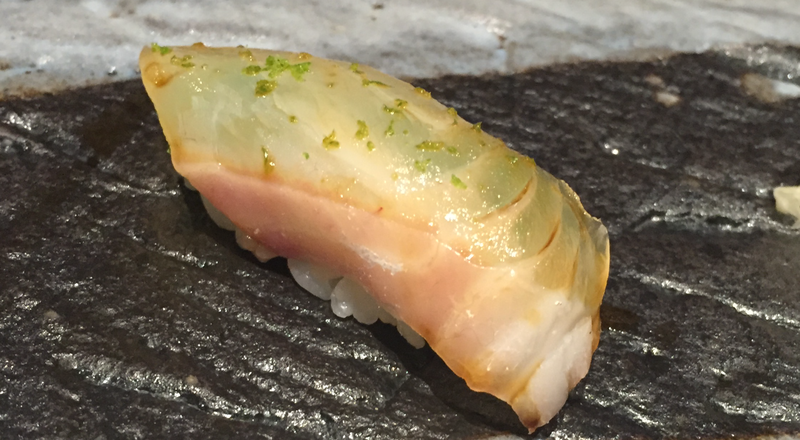 Chef Yoshihiko Kousaka left Jewel Bako to open up Kosaka (with the u dropped in his name) sometime in 2015. 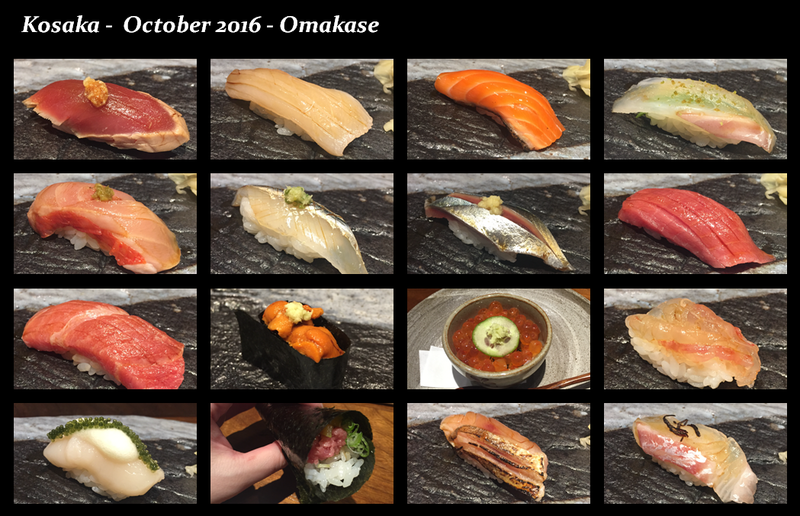 When they opened up in October, they started off with an $125 omakase for eighteen pieces, bringing the average cost to $7 per piece. Today, one year later, they are at $145 for fifteen pieces, bringing the average cost to almost $10 per piece. That’s quite a price hike, is it not? And in just ONE year? 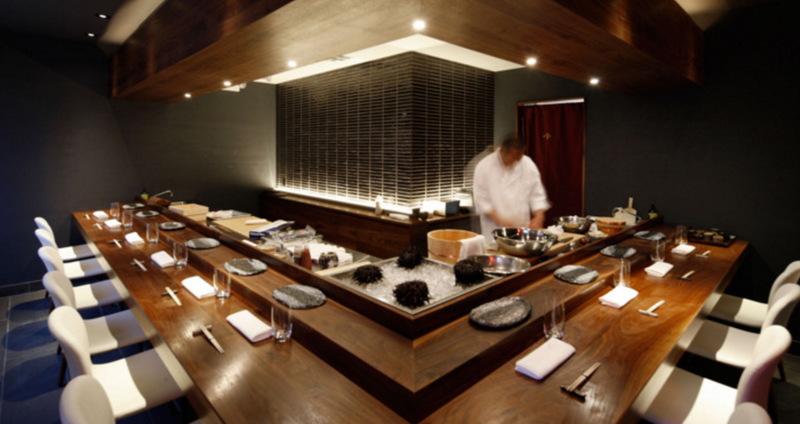 To put things in perspective, Chef Kousaka’s alma mater, JEWEL BAKO, who has consistently received one Michelin star every year for over eleven years, is priced at $120 for a 20 piece omakase, yes the average is only $6 per piece. Not to say I always agree with Michelin, but it does provide some means measurement. 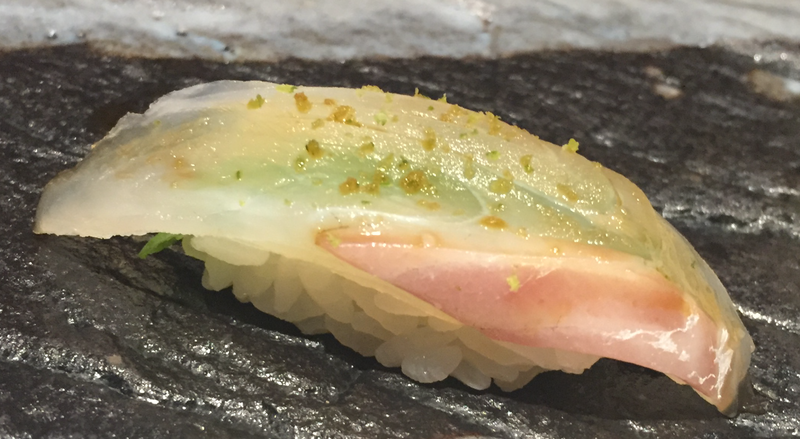 Take a read on my SOTO posting, I did a full analysis of all Michelin rated sushi-yas in NYC. 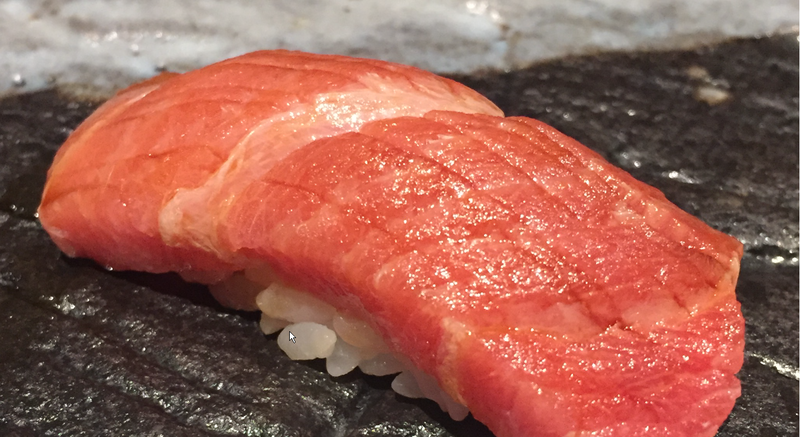 The world is not all about dollars and cents, so let’s move on… Kosaka is a lovely little sushi ya, with super friendly staff, and chefs that do speak a little bit of English. It’s a very inviting environment. You can kind of tell whether patrons are enjoying their meal and/or time based on how long they are willing to stay POST their omakase. You might attribute it to patrons still being hungry, but it’s not that, it’s never that. If patrons were not enjoying their time, they can just as easily continue eating elsewhere. Given that we stayed for 8 additional pieces post our omakase, I would say, we had a pretty good time! To be honest, if they had more options, we would have stayed longer, but their variety is a bit limited. 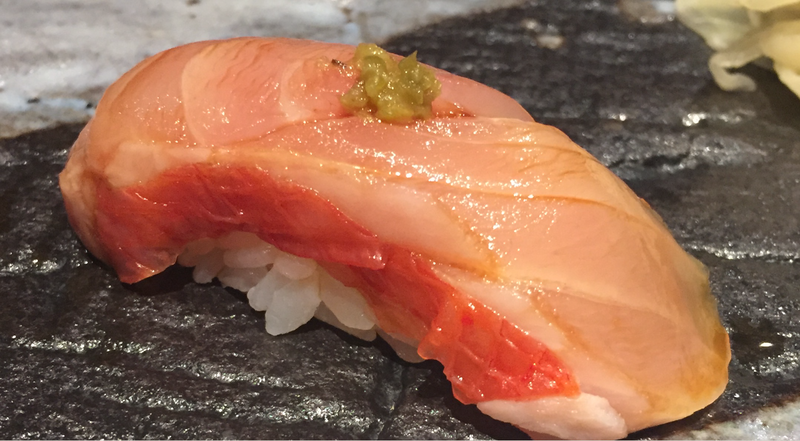 After leaving Kosaka, we walked to SUSHI NAKAZAWA, and ate and drank some more. We ultimately finished the night with pizza! Yea, we can eat! It’s important to know, we did not get seated with Chef Kousaka, but were served all the same pieces that Kousaka serves, and it appears that they were all prepared the same way too. Our chef, whom we did not catch his name, were also super accommodating. He was completely unfazed with my request of no cooked foods. It used to be no UNAGI (eel), no ANAGO (sea eel), then I added SHAKO (mantis shrimp), then I added TAMAGO (egg), and ultimately decided, let’s just go with nothing cooked at all. I’m SO SMART! Read on, and you’ll see proof to my brilliance! Amuse-bouche – To be honest, I don’t really get the concept of amuse bouches for sushi omakases. I especially don’t get it when they actually point out that you will get one on the menu (Kosaka didn’t do that, but I don’t get it when restaurants do). I have never seen a successful amuse-bouche at ANY sushi-ya. Seriously, if you’re going to bother giving me anything at all, make it good. Otherwise, it kicks off the meal with a bad taste in your customers mouths! 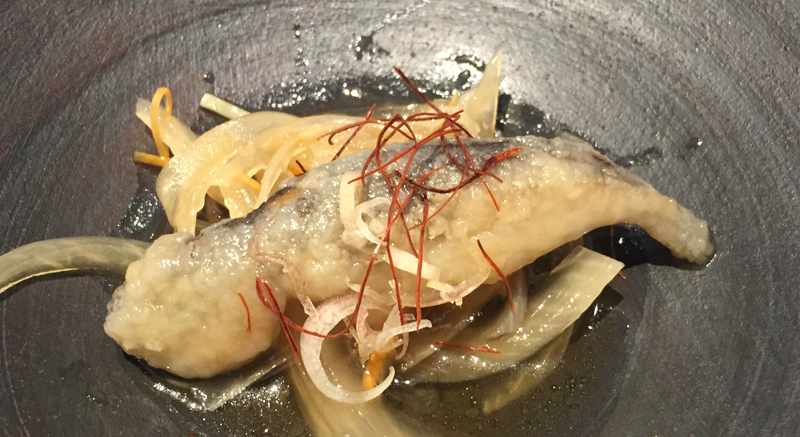 The amuse-bouche tonight was a deep fried smelt, served chilled atop marinated raw onions. It was gross. AKAMI ZUKE – I’ve been having lots of mediocre AKAMI ZUKE lately, where you wish you can turn back time, tell the chef not to bother with the ZUKE-ing(marinating), and just serve the AKAMI (lean tuna) as is. KOSAKA’s one did not fall in that camp. This was nicely flavored, fresh, with zero funky tinge. It was served with grated ginger and topped with a little bit of soy. Not sure that the ginger complimented the AKAMI ZUKE though, it actually fought the flavors, but the AKAMI ZUKE itself was DELISH. 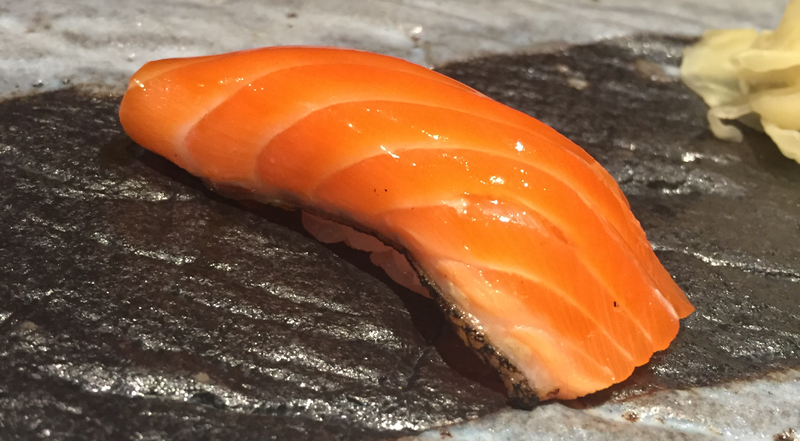 KING SALMON – Served with the skin ABURIed (torched), and topped with a smoked soy sauce, which was an interesting touch. I’m not a huge fan of salmons, and definitely not a fan of smoked fishes in general. But thought this particular serving was nicely executed, the smoked soy wasn’t overpowering at all, and it did compliment the ABURIed skin well. 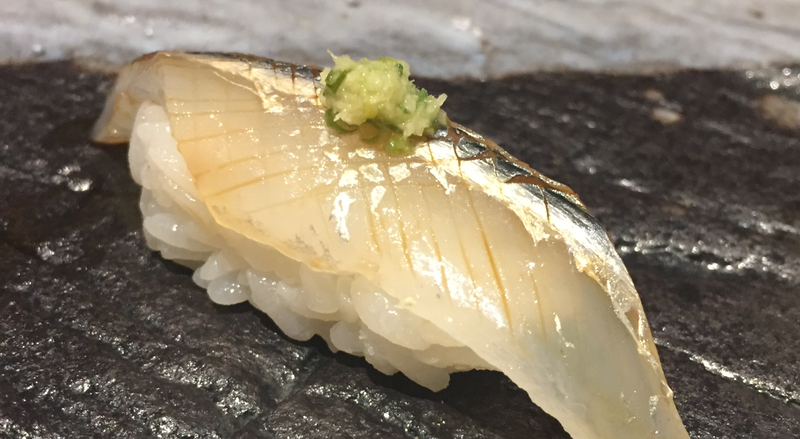 SUZUKI – A sea bass served with a SHISO leaf between the fish and the rice, and topped with grated YUZU (a Japanese citrus) and sea salt. This was so wonderfully light and refreshing, it was just amazing. I LOVE fresh SUZUKIs! 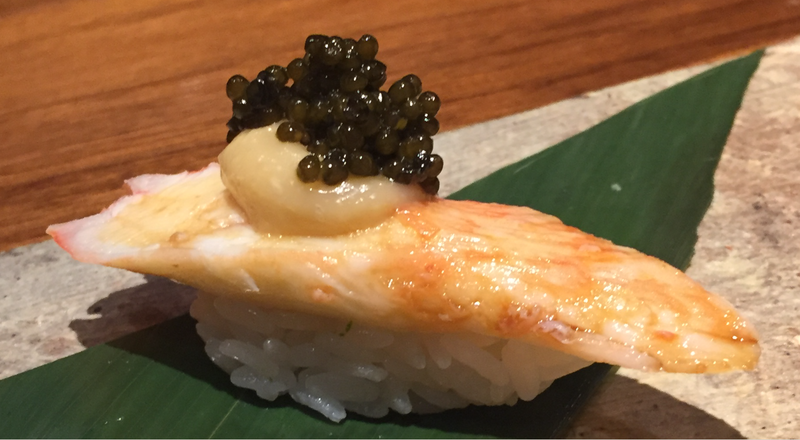 KINMEDAI – Golden eyed Red Snapper served with YUZU Pepper and topped with soy. I normally would balk at not having the skin of my KINMEDAI ABURIed, but this was marvelous! And one would think that the Yuzu Pepper would overpower the KINMEDAI, but on the contrary. This was great! SAYORI – SAYORIs (Needle fish) are fairly high on my Silverfish totem pole given their rarity in NYC. But SAYORIs really need to be fresh. This one was over marinated and a little fishier than it was meant to be. The ginger served atop helped, but did not solve the issue. I commend the rare fish, but wished it was actually fresh. 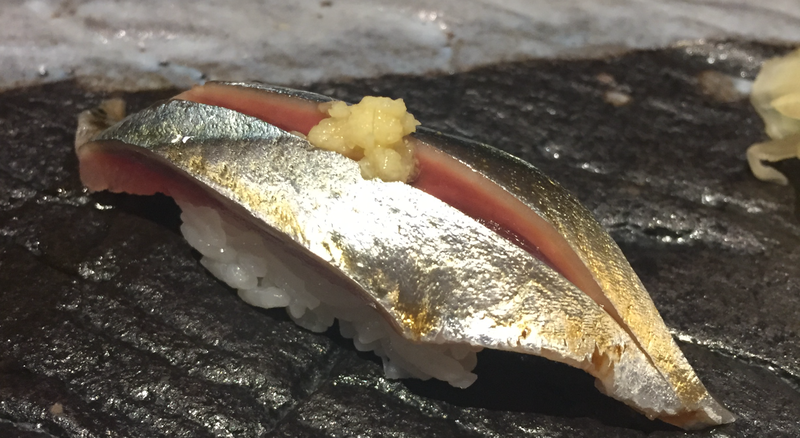 SANMA – Pacific Saury, another item high on my silver fish totem pole. This one they did well. Prepared very simply with just a dab of grated ginger, so simple yet still so delicious! See? Less IS more! 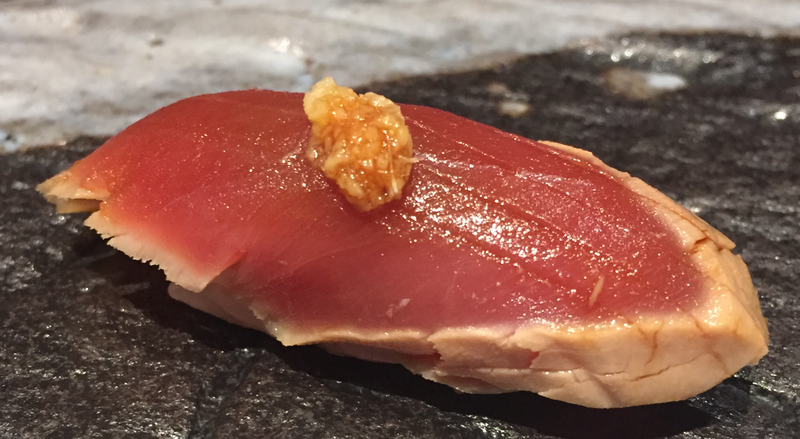 CHUTORO – Medium fatty tuna, my favorite of the TOROs. Perfect level of fattiness, not too lean, not too fat, and with zero chew, zero funky aftertaste. I don’t understand the straight scores atop the fish though. Is that to cut the veins? To make it less chewy? Doesn’t appear to be veins… Or to increase surface and allow for soy to seep in? But this isn’t a fish that requires lots of soy? Or is it just for presentation? 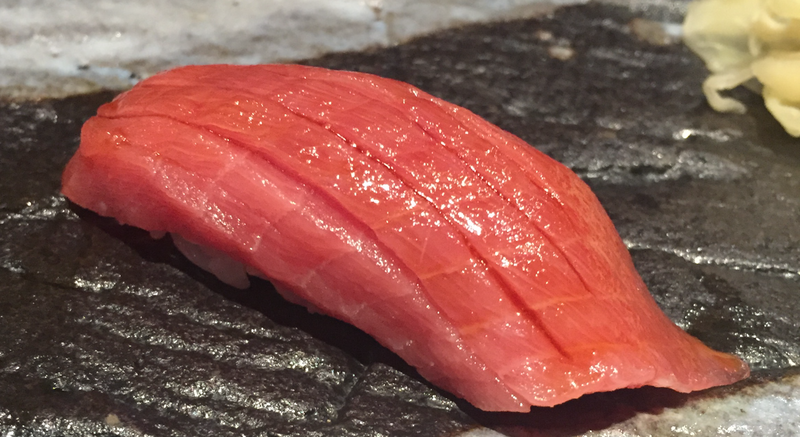 OTORO – Super fatty Tuna. 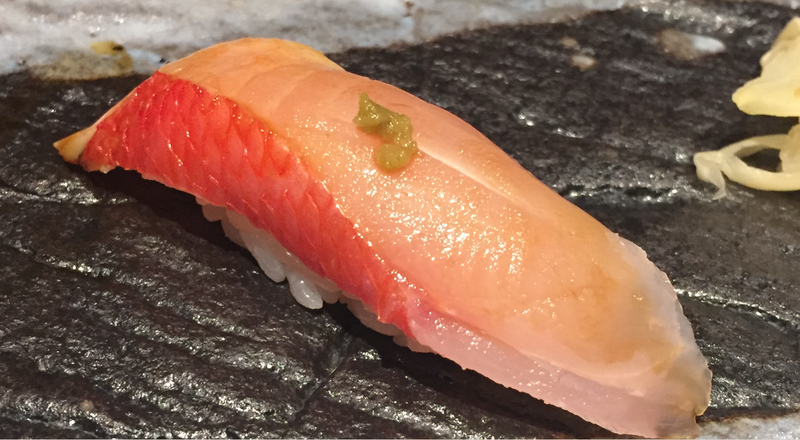 I gage how good my TORO is based on the freshness, the level of fat, the chew, and aftertaste. This one was super fresh, super fatty, one huge vein that made it super chewy, but no tinge. Overall, good, but not great. 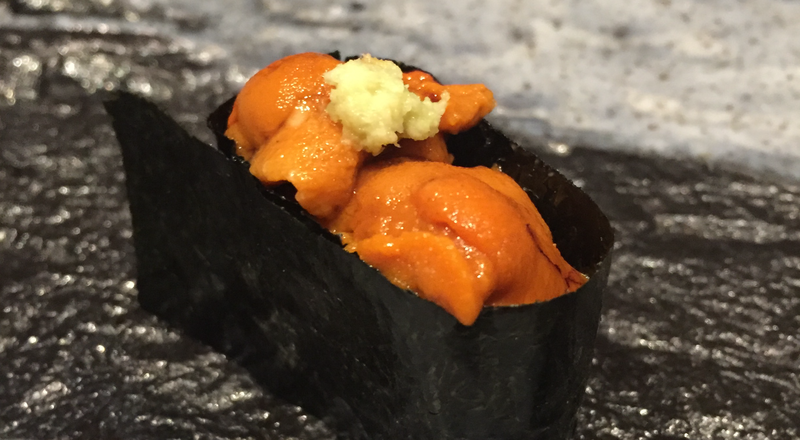 UNI from Hokkaido – Oooh, this one was not so good. UNI from Hokkaido typically has more depth, a nuttiness than California UNI, this particular one had that, but also a slight bit of bitterness followed by a tinge of something not so great. This was not good. 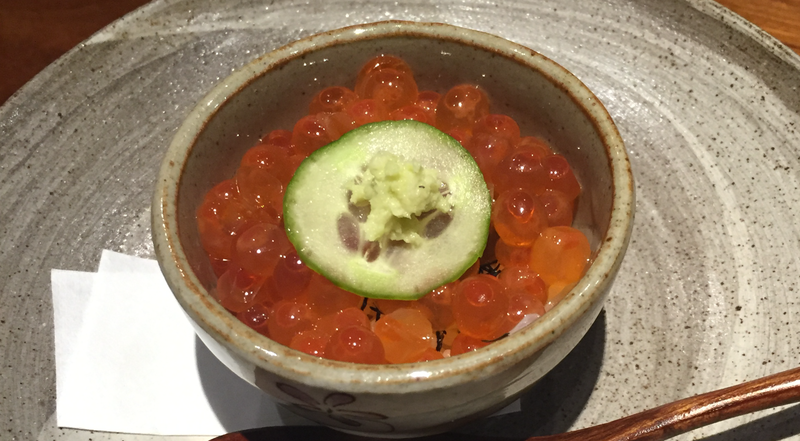 IKURA – These Salmon eggs were fantastic lovely little pearls that were perfectly seasoned. Surprisingly the cucumber was bad, it was bitter! Served with the seasoning over a tiny bit of dried NORI (seaweed), and rice. I loved that we got a little bowl, even though it was little, it was still much more generous of a portion than the sushi portions. Live BOTAN EBI – Chef kept his live BOTAN EBIs in a small plastic bucket with an oxygen pump, placed over ice, right on the counter. It was definitely “live”. Super crunchy, super tasty! But no fried heads. Makes me feel so ripped off! Get off your lazy bums and fry my shrimp head!!! 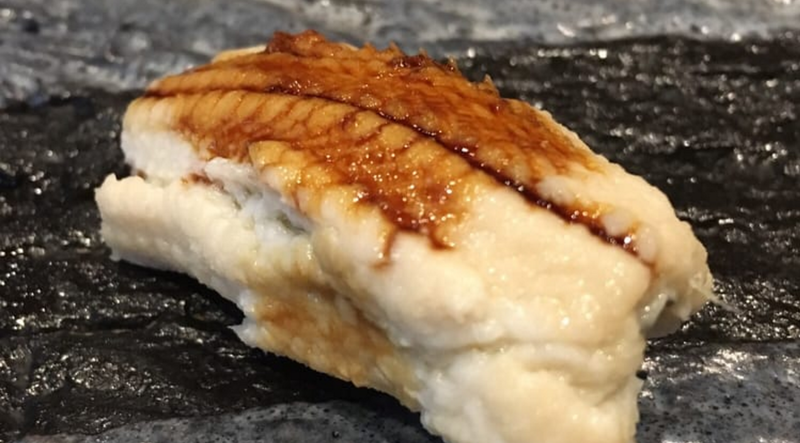 HOTATE – Really not a fan of when they put so much of anything on a fish, where you’re no longer able to have a bite without the “topping”. 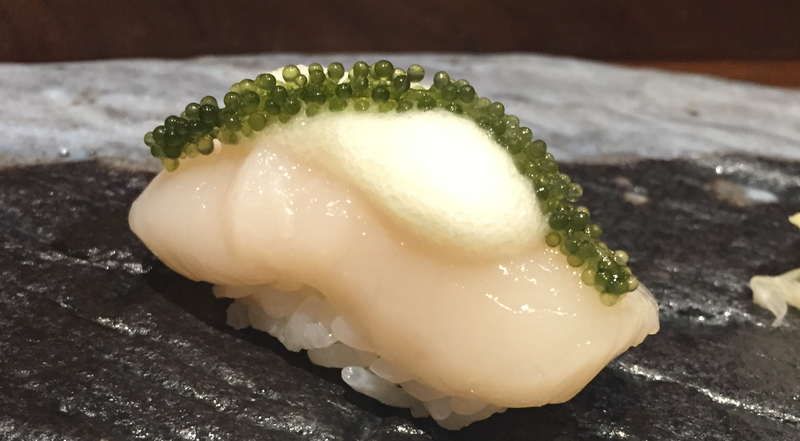 This HOTATE (Scallop) was topped with a YUZU foam and dressed with sea grapes. The YUZA foam was fantastic but definitely overshadowed the HOTATE. Couldn’t tell you if the HOTATE was any fresh at all. 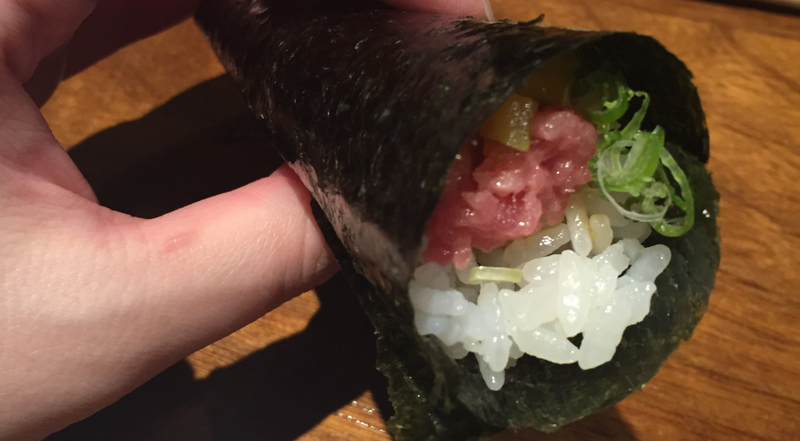 NEGITORO with TAKUAN Hand Roll – The hand roll is usually the very last piece you get. WHY were we getting this so early? That said, the TORO was the same CHUTORO earlier, and it was very good. And the TAKUAN (pickled radish) are always a nice touch. 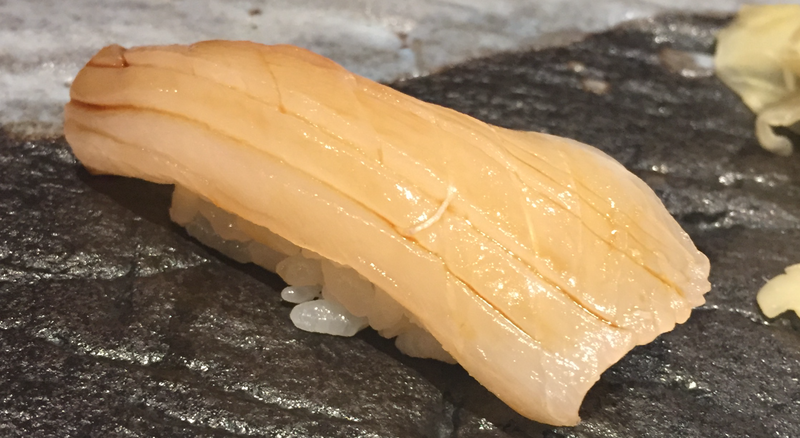 ANAGO / KAMASU – This second to the last piece was meant to be the ANAGO (sea eel). 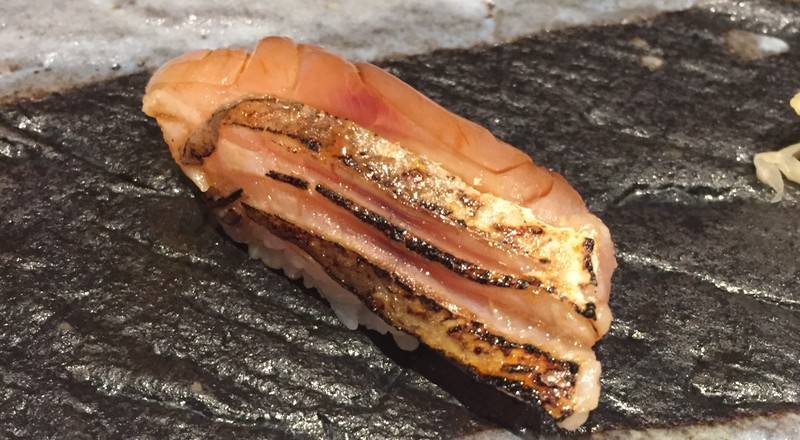 But I very specifically asked for NO COOKED foods, so lucky me, I got the KAMASU(Barracuda). Boyfriend said the ANAGO was good. My BARRACUDA had to be WAY better though. 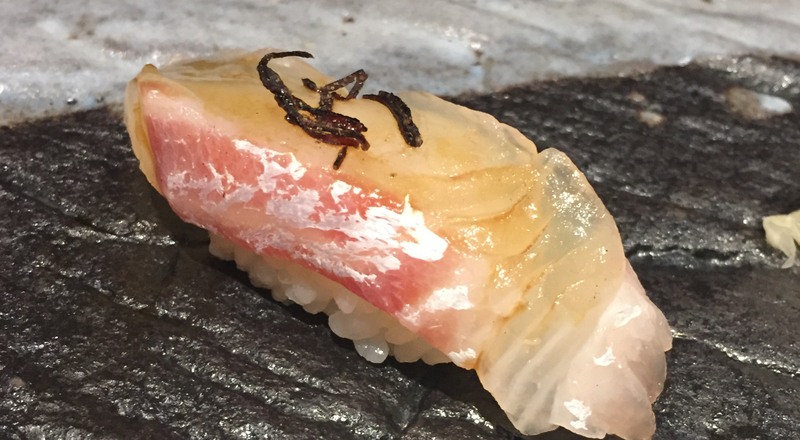 The KAMASU is a lighter, but super meaty a somewhat fatty silverfish. Thoroughly enjoyable! 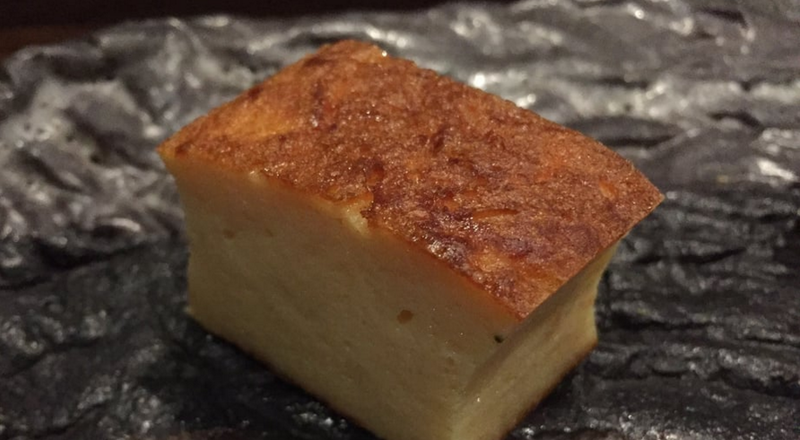 TAMAGO / MADAI – The very last piece, if you could call it a piece, is the TAMAGO (egg). Same deal, because I was smart enough to ask for no cooked foods, I got another piece of raw fish. The MADAI (true seabream) is one of my top three white fishes! WINNING!!! Boyfriend was seriously jealous at this point. Though the MADAI was not as fantastic as it could/should be, it had to be better. It was still light and fresh. But could be dressed up better, with some shiso maybe? Or perhaps a bit of yuzu and sea salt? 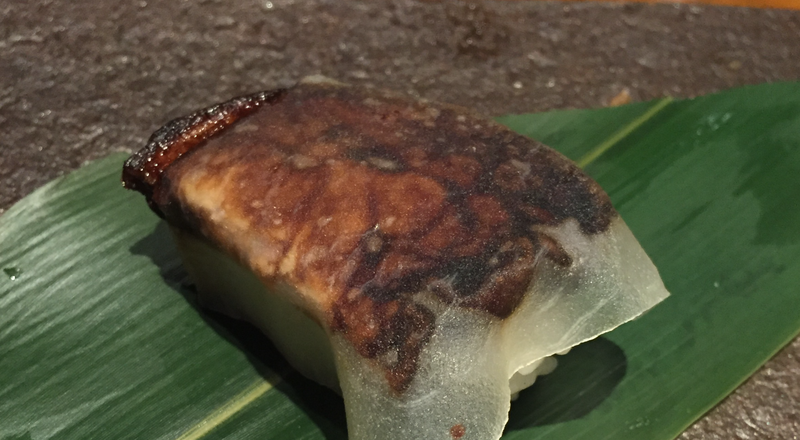 The TAMAGO, I would have considered a non-piece. The MADAI was good, but not great. And finished with the SIN IKA. I did ask the chef to see what else they had, but other than the two things that boyfriend got, and I’m not in love with, there wasn’t anything but this. The SIN IKA (type of squid) was good but not great, WAY too chewy. FOIE GRAS – this was NOT good. 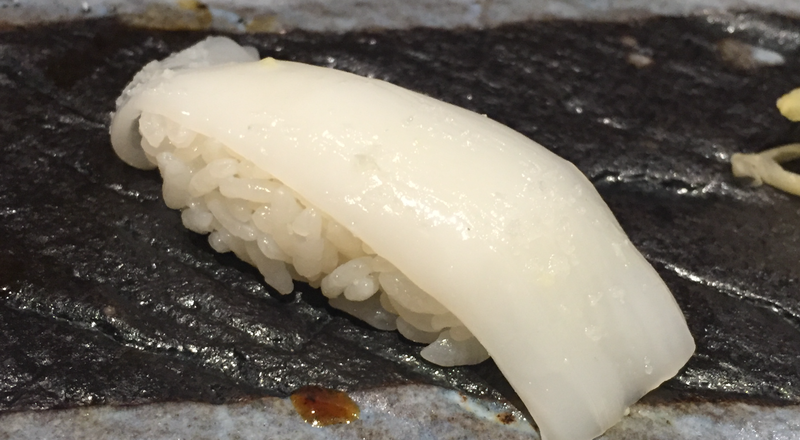 It was way too thin, overcooked, and NO IDEA why they wrapped it with a thinly sliced radish. WHA???? KANI GANI – The crab itself was fine, nothing at all spectacular, but fine. The miso paste and caviar on top, I don’t understand. I also didn’t try it though, so I shouldn’t really comment. I can imagine miso paste being good with the crab, and caviar good with the crab. But I can’t imagine the combo of the three being a good match… Again, I didn’t try, so I can’t comment too much. 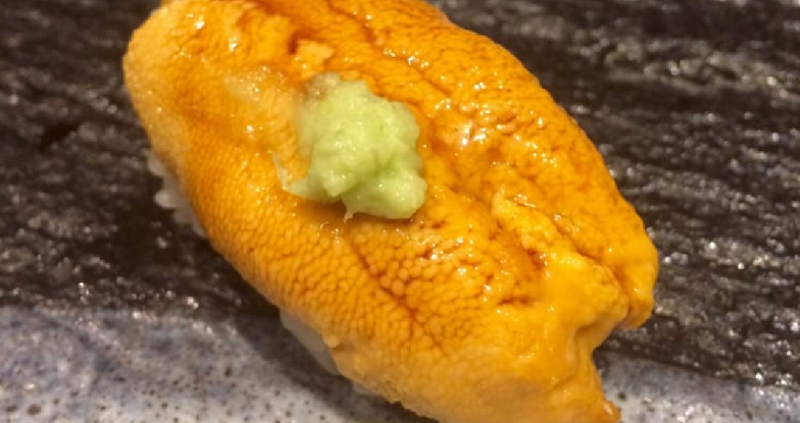 SANTA BARBARA UNI – Boyfriend is a true UNI connoisseur, but is also much more forgiving than I am in general. His verdict, was a simple NOT GOOD. Pros, fantastic environment, super accommodating chef and staff. 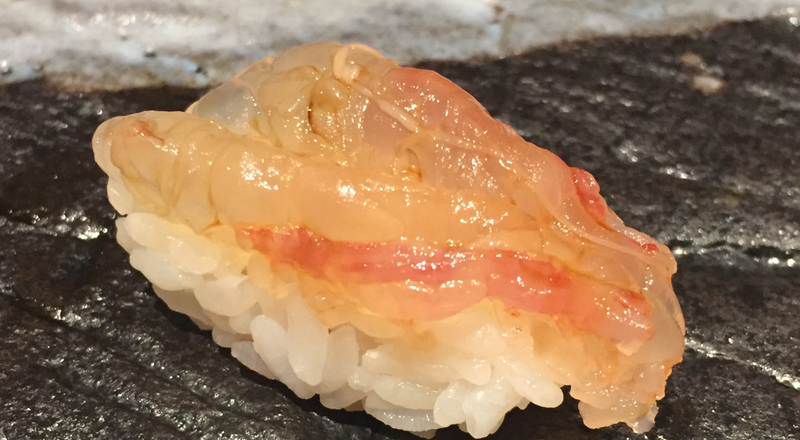 Cons, for a fancy sushi ya, very little variety of fish, ok fresh fish, ok preparation, and HIGH costs. Happy that we went, but will likely not be back for a while… Overall rather lower rating of 24 out of 35.